We will be launching our Leads Premium in 00:00:00 Sign up for the 14-day FREE trial and witness the magic happen! How many leads are you missing? could be turned into leads with Albacross. Estimate Try it for free! Need to generate more leads for your company, but don’t know where to start? Don’t worry – you’re not alone. Plenty of other B2B marketers, like you, find lead generation a huge challenge. It’s not just about generating enough leads… you’ve also got to make sure that you’re generating high-quality leads that your sales team will be able to convert. Lucky for you, we’ve done the dirty work, and put together a list of 12 B2B lead generation tactics to help you up your lead generation game. We’ve also included a cost breakdown for each of these strategies – this way, you can weigh up the different strategies, and allocate your resources accordingly. Simply head over to the Settings page on your email client, and tweak your email signature to include a Call To Action. Get a free website SEO audit worth $50 (available for first 50 sign-up each month). Remember, the more specific you are with your CTA, the better. Negative example: Book a consultation. Positive example: Book a 30-minute non-obligatory consultation. Negative example: Get a free SEO audit. Positive example: Get a free website SEO audit worth $50. Say 1000 people land on your website. Guess how many of these folks will go on to convert, and sign up for your newsletter / product demo / free trial offer? Nope, not by a long shot. That’s right – the average website lets 98% of their visitors slip through the cracks, and out of every 1000 visitors that you get, only 20 people end up converting. You can track your visitors and reach out to them even after they’ve left your page. With a tool such as Albacross. In a nutshell, Albacross is a simple-to-use tool that allows B2B marketers to automatically generate leads from their company’s website. First, sign up for a Albacross account. This takes just 30 seconds. Next, paste Albacross’s tracking script on your website. Once that’s done, Albacross will run in the background and collect data about your visitors. You can choose to receive either daily, weekly or monthly reports in your inbox. In these reports, you’ll get an overview about which companies are visiting your website, and how they interact with it. From there, simply identify which companies you’d like to reach out to, and use the contact information that Albacross provides to get in touch! If you’re considering paying for pricey B2B tools or B2B lead generation services out there, we recommend that you try Albacross first, and see if it serves your needs. Next on our list of B2B lead generation tactics is… stealing your competitor’s leads! Imagine being able to get access to a list of folks who are researching your competitors’ products and services. Now, wouldn’t that be a dream come true? Well, technology today is SO advanced that this is actually possible. LeadCandy, for example, is a tool that scans through the Twitter followers of your competitors and finds their contact details (name, company, verified email, location). Then sit back, and wait for your leads to bite! Now, you’re probably thinking that direct mail (ie sending your leads marketing collaterals via snail mail) is old-school and obsolete. You’re absolutely right… but that’s what makes it so effective. Your leads are probably used to getting inundated with emails and messages on their social media accounts. Everything they log into their emails, boom, they have a gazillion mails from sales reps offering them a free trial or product demo. And everytime they go on LinkedIn, they get a bunch of invites or InMails from reps saying that they’d “like to connect”. Well, do you think your leads will guys sift through each and every one of these messages? Nope – they’ll either do a mass-delete, or just ignore them and put them on the back burner. Because your email (or message) is caught in that huge haystack, the chances of it standing out are close to zero. When it comes to direct mail, on the other hand, it’s a whole different story. Your prospects aren’t used to receiving marketing collaterals in the mail. And if you send them something that’s beautifully packaged and thoughtfully put together, you might just get them to sit up and pay attention. The average click through rate for emails is 2.43%. With direct mail, on the other hand, you’ll get to enjoy a 5.3% response rate for house lists. If you need some inspiration, Heinz Marketing ran a really successful direct mail campaign just a few years back. But this campaign actually ended up generating a ton of revenue for them. First, Heinz didn’t send these empty iPad boxes to all their leads. They only sent them to their hottest leads whom they were confident that they could close. On top of that, Heinz also nailed the timing of their campaign. The packages reached their leads right before a huge convention, so it was easy enough for the leads to come by Heinz’s booth during said convention, and strike up a conversation. Costs involved: $0.50 to $30 per recipient, depending on how fancy you want to get. Before you skip past this point and move on to the next, hear me out. But hey, that’s where the magic happens. First, it gives you a legitimate reason to reach out to your leads. If your ideal customer is a CEO of a mid-sized SaaS company, for example, then just create a podcast where you interview SaaS business owners about their journey as an entrepreneur. Second, it’s easier to pull off than it looks. 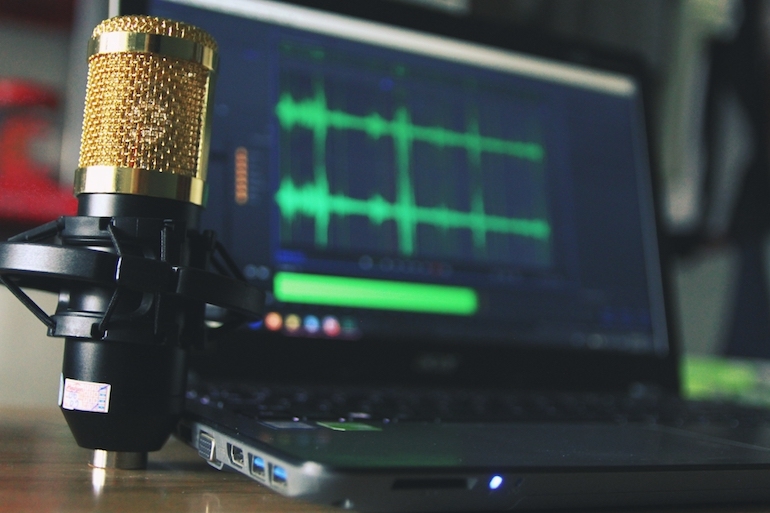 You don’t even need to get any fancy equipment – this article teaches you how to set up your own podcast for free. Third, you don’t need to worry about not having any listeners. That’s not the point – as long as you manage to strike up a conversation with your lead (whom you’re inviting to be a guest on your podcast), and you get their contact information, you’re good to go. If you ask us, creating a podcast is an awesome strategy that not enough B2B sales reps and marketers are taking advantage of. Dang, not another one of these guys. How can I get rid of him/her? But if you reach out to your lead in the capacity of a podcast owner, they’ll be thinking: Sounds interesting… it’ll probably be good publicity to go on the show and talk about my business. That’s how you score your “in”. Once you’ve done that, start building a rapport with your lead, and nurture them to the point where you can go in for the close. Costs involved: You can start a podcast for free, but if you want to invest in some basic tools, these might set you back by $100 to $200. You’ve probably heard that blogging can help you generate more leads. Blogging isn’t just about writing. You need to think about your distribution strategy, too. Consider this: there are 2 million blog articles that are published every. Single. Day. So what if you’re writing long-form, kickass content that provides a ton of value to your consumers? There are plenty of other companies doing the exact same thing. To get more eyeballs on your company’s brand, consider syndicating your content on other platforms. One option is to reach out to guest blogging sites and tell them you’d be happy to contribute a post (this bumper list of 170+ Quality Guest Blogging Sites should get you started). Alternatively, you can also use native advertising platforms to help you get your content on other sites. Outbrain and Taboola are two of the biggest names. First, choose the platform that you want to use. (Here’s a handy guide that breaks down the differences between Outbrain and Taboola). Next, decide on what content you want to syndicate. You’ll want to pick something that resonates with your audience, so go with one of your best-performing articles that has gotten the most views or shares. Now, it’s time to set up your campaign. Here’s where you select the audience you want to target, set your budget, and schedule your ads to run on a continuous basis or on certain days. Once your campaign is up and running, you can test different targeting settings, and swap out your content to see which gives you the most leads at the lowest costs. Costs involved: If you’re going with the guest-blogging route, that’s free. If you’re going with native advertising platforms, most of these work with a Cost Per Click (CPC) model. Taboola’s minimum required CPC value is $0.01, but the platform suggests choosing a value of at least $0.20 - $0.70 to start. Opt-ins are pretty tricky to nail. Many B2B marketers will simply cobble together a lead magnet and slap an opt-in form on their page, but there’s actually an art to these things. For one thing, your lead magnet has to consist of original and genuinely useful content. If a site visitor downloads your lead magnet only to realize that you’ve basically thrown a couple of your existing blog articles together and reformatted it into a PDF, they’ll definitely feel like they’ve gotten the short end of the stick. This will lead to your visitor distrusting your brand, and reduce your chances of converting them as a paying user further down the road. On top of that, your opt-in forms also play a huge role in influencing the success of your lead generation campaigns. Look, I know that you want to find out as much about your lead as possible – so you can score them and decide whether they’re worth reaching out to. But if you make your opt-in form too long, this will turn your visitor off, and they might just give up halfway through filling in your form. There’s no industry standard or hard and fast rule, but we generally like to keep our forms to three fields or less. There’s really no need to include fields to ask about your lead’s website address, the number of employees in their company, and their annual revenue – you can glean this information with a quick Google search. After optimizing your opt-in forms, you’ll also want to do the same for your landing pages. Here are a few tips that will help you do just that! First, use a single Call To Action (CTA), and display this above the fold. Single CTA = clarity and focus, leading to more conversions. Multiple CTAs = distraction, leading to less conversions. You’ll also want to display your CTA above the fold, so it’s the first thing that your lead sees. When it comes to wording your CTA, research show that using first person pronouns can increase your conversions by up to 90%. Negative example: Start Your Free Trial. Positive example: Start My Free Trial. CTAs aside, make sure you remove all navigational links on your landing page. Unlike your homepage, your landing page should not have a top or side panel where visitors can access your About Us page, Contact Us page, and Blog. Again, it boils down to the idea of focus. You don’t want your visitor to get distracted, and start clicking around on your site. You want them to hone in on your offer, and convert! Reduce your page loading time. This is one thing that many B2B marketers miss out on, but it’s super important. Research shows that 53% of people will leave a page if it takes longer than 3 seconds to load, and you don’t want your visitors to churn before they even get the chance to see your offer! Alrighty, the next tip in our list of B2B lead generation tactics is to optimize your emails. So we’re not going to discuss all that. And that’s to completely do away with HTML in your emails. (Yup, this means you won’t be able to use those pretty email templates anymore). Now, the common consensus is that a picture is worth a thousand words, and that utilizing pictures can make your emails more appealing. Using HTML in your emails actually hurts your email deliverability rate. If you’re constantly having your emails land in your prospect’s “Promotions” Tab instead of their “Primary” tab, or if your emails are straight-up going to spam, this could be why. Deliverability aside, stripping your emails of HTML also conveys a more personal, intimate vibe. Well, if your lead thinks that you took the time to sit down and write them a personalized email, there’s a greater chance that they’ll respond. But if you send your lead a pared-down email without any fancy templates, and you use the right (read: conversational) tone, you can achieve that effect and benefit from it! 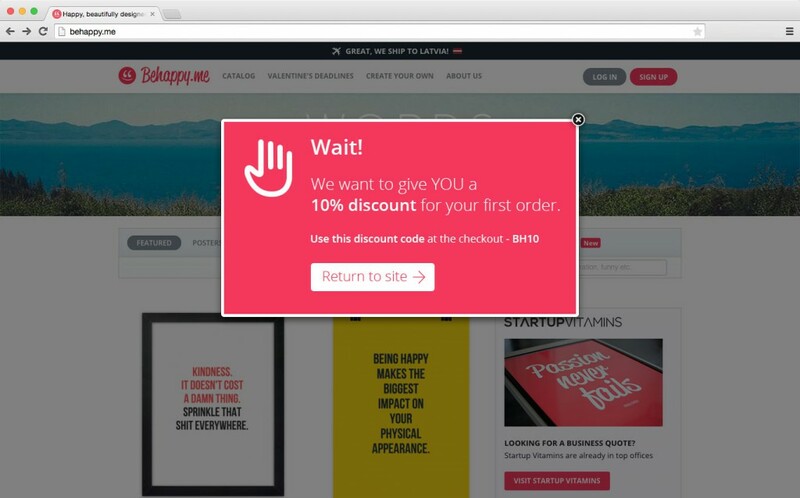 If you ask us, exit-intent pop ups are pretty much the greatest thing since sliced bread. Think of these as a last ditch attempt to convert your visitor. You know they’re on your way out, so you should throw your most irresistible offer out there, so as to convince them to convert. Now, exit intent pop ups are particularly prominent in the eCommerce industry. Say you’re browsing an online clothes store, and you see a couple of pants that you like, but they’re a bit on the pricey site. After checking out the T&C page, and realizing that you have to pay an extra $8 for shipping, you decide that it’s just not worth it. Just as you’re about to exit the page, a pop-up appears, giving you a promo code for 10% off storewide plus free shipping. Wouldn’t that entice you to complete your purchase? eCommerce aside, exit pop ups can also be used by B2B marketers to generate more leads. All you need to do is to swap out the offer for something that’s relevant to your leads. When loan origination platform BeSmartee first launched, they used utilized exit intent pop ups to convince more visitors to sign up for their service. According to CEO Tim Nguyen, these pop ups helped the company increase their conversion by a whopping 200%. That’s huge. Costs involved: Unless you’re a coder or you have a tech team at your disposal, your best bet is to use an online tool to create your exit intent pop up. We recommend Optin Monster, which starts from $22 per month. Live chat is one of those strategies that’s guaranteed to bring you more leads. Remember how we talked about how only 2% of your site visitors convert on average? Well, live chat helps you generate 4 to 8x more leads with that same pool of site visitors. The beauty of live chat lies in the fact that it reduces the friction on your visitor’s part, and makes it that easier for them to reach out. They can simply click on the chat function, get connected to a real-life person, and describe what they need. 91% of customers who’ve used live chat are satisfied with its ability to aid in their online product-buying decisions, resolve customer service or tech support issues, and answer product questions in a timely manner. For best results, make sure to man your live chat 24⁄7. If you’re trying to reach out to business owners, they might be researching products and services after office hours or on weekends – and if you’re available to chat with them, this gives you an edge over your competitors. Costs involved: Popular live chat softwares include Zendesk (plans start from $0 per month) and Kayako (plans start from $15 per month). Last but not least on our list of B2B lead generation tactics is… displaying a toll-free number on your site! The premise behind this is pretty similar to what we just discussed with live chat. Basically, you want to reduce any friction that your lead might be experiencing, and make it super easy for them to reach out to you. So should I use live chat or toll-free numbers? Which one will get me more leads? Well, this really depends. If your target audience is someone who’s older and more comfortable speaking on the phone, using a toll-free number might work better. If you’re selling a big-ticket item and most of your customers like to speak to someone over the phone before they make their purchase, the same thing goes. That said, even if you’re targeting millennials who prefer live chat over speaking on the phone, this doesn’t mean your toll-free number is useless. Why? Having a toll-free number on your site makes your business feels more legit; it also provide your leads with a greater sense of security. Your lead might be able to get all their questions answered via live chat for now, but it’s just nice to know that they DO have the option of reaching out to your company via phone in the event that they need to. Costs involved: Costs vary according to which country your leads are located in, and where you’re forwarding your calls to. If you’re using VoIP to answer your calls, TollFreeForwarding has pay as you go plans that start at $7 per month, and a 250 minute plan that starts at $11 per month. After reading this bumper list of B2B lead generation tactics, we hope you’re inspired and all ready to start generating some leads! As you can see, there are plenty of tools out there that you can use to streamline your lead gen efforts, and make the process simpler. Many of these tools are also free to use, so it’d be a crime not to give them a shot. Here’s to skyrocketing those leads, and upping your lead generation game! Marcus Svensson is responsible for the Growth of Albacross with previous experience as a founder and background in Mathematics.